Sometimes all the little handwriting tricks can work wonders when kids are working hard on handwriting. But when the letter formation is functional and sentences are legible, the verbal cues and visual prompts are reduced. But there can be times that letter formation suffers when kids are writing on their own. 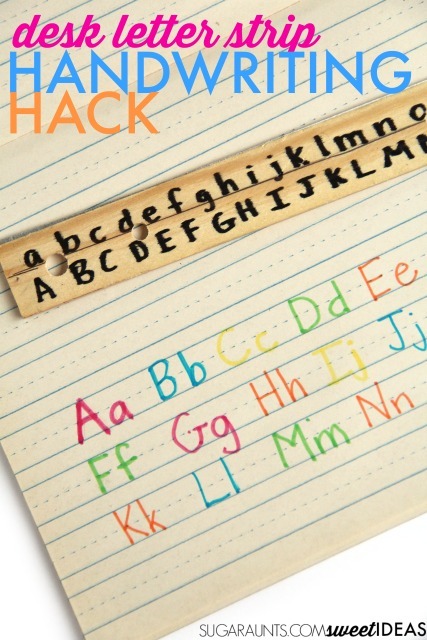 Check out all of the handwriting tips in our Easy Tricks for Better Handwriting Help here. Writing prompts or independent writing tasks can revert to previous handwriting habits. 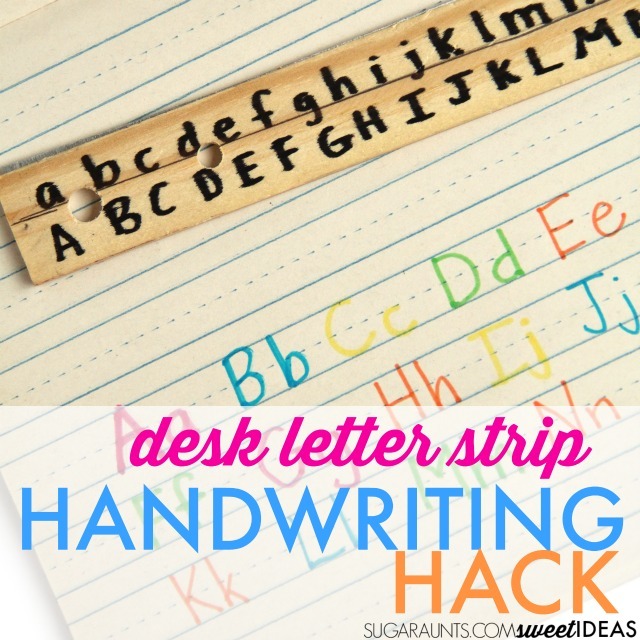 This DIY Desk Letter Strip is a simple handwriting hack that can help kids with letter formation when they are writing independently. Letter strips are helpful for kids who are learning how to make letters, addressing letter reversal tendencies, and working on the motor plan to make letters functionally. This DIY version of a letter strip is one that can be taken to any desk, tucked into binder pockets or file folders, or easily pulled out of a desk. 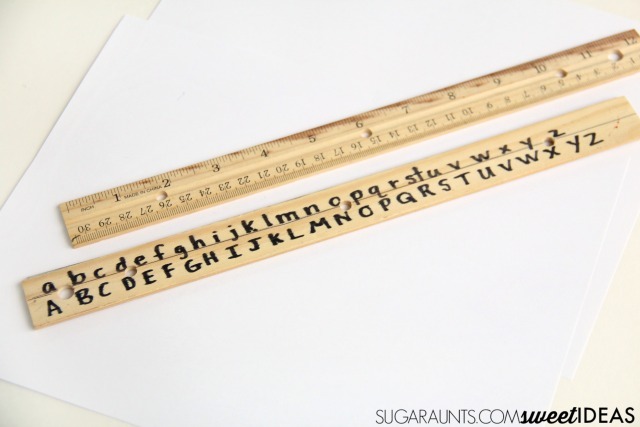 Kids will love that their ruler is quickly and discretely used as a letter strip that can help with letter formation or a quick check on the direction a letter should be aligned. 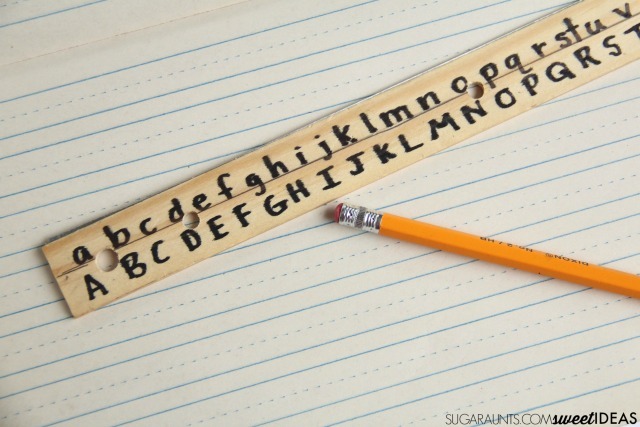 To make our desk letter strip, we used wooden rulers. These have a great back for writing letters on and are spacious enough for the upper case alphabet and lower case alphabet. To make the letter strip, use another ruler to draw a quick line down the length of the ruler. On that line, write the upper and lower case alphabet with a permanent marker. 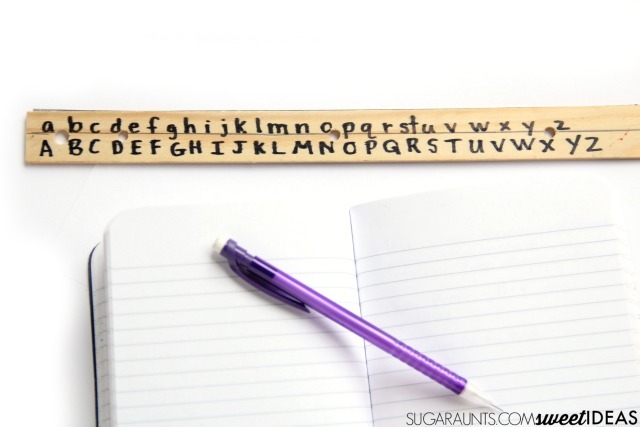 This portable letter strip would be great for cursive letters, too. Upper case cursive letters are not easy for kids to remember as they are not used as frequently. A desktop example can be helpful during writing tasks. Show your student how they can use the letter strip to double check letter formation or to help with alphabetical order. Did this quick tip work for you and your kiddo? Let us know in the comments below or in the Sweet Ideas for Handwriting Facebook group!